But journalists worry that Alibaba, which has become one of the most highly valued companies in the world in part by maintaining good ties with the Chinese government, is abandoning The Post’s history of scrappy reporting to please Beijing. “By explicitly stating that its aim is to tell a positive story of China and running questionable stories, management undermines the very attributes that make the S.C.M.P. useful in the first place,” said Yuen Chan, a journalist and senior lecturer at the Chinese University of Hong Kong. As businesses and governments around the world look for ways to skirt the traditional news media, The Post has become a test case for how a new owner can co-opt an established brand to promote certain viewpoints. Alibaba executives say they want to present a “fair and balanced” alternative to foreign media, a mission statement that echoes Fox News. Gary Liu, a Harvard-educated technology entrepreneur who is the Post’s chief executive, said the newspaper could offer a more nuanced portrait of China than Western news outlets, with a staff of 350 journalists in Asia, including about 40 in the mainland. “We are not here, certainly, to promote the views and wishes of Beijing,” said Mr. Liu, who was previously chief executive of Digg, a news aggregation site in New York. “We are not here, certainly, to promote the views and wishes of Beijing,” said Gary Liu, the Post’s chief executive. But a culture of self-censorship at the newspaper predates its purchase by Alibaba, said Wang Feng, who served as The Post’s online editor from 2012 to 2015. He said top editors routinely rewrote, played down or withheld critical stories for fear of offending influential Chinese officials or business executives. That timidity has persisted under Alibaba, according to more than a dozen Post journalists who, speaking on condition of anonymity, described how the paper shies away from investigative reporting on Communist Party leaders and contentious subjects such as human rights. Its author, Shirley Yam, a well-respected financial commentator, resigned. In a statement, Ms. Yam defended her column, saying that editors had vetted the piece extensively before its publication. Some critics said the more notable change under Alibaba may be The Post’s ramped-up production of articles that present China in a friendly light. 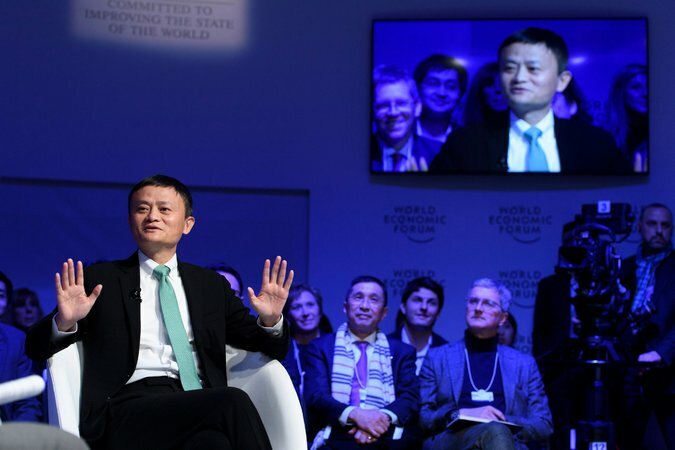 Jack Ma, the founder of Alibaba and one of China’s richest men, at the World Economic Forum in Switzerland in January. In February, Post journalists said, the Ministry of Public Security pushed the paper’s top editors to send a reporter to interview Gui Minhai, a political critic and Swedish citizen whom the Chinese police had snatched from a train. “The Post risks being a vehicle in Beijing’s overall propaganda machinery,” said Willy Wo-Lap Lam, a scholar at the Chinese University of Hong Kong and a former Post journalist. Mr. Xi, China’s most powerful leader in decades, has all but eliminated critical reporting in the mainland, placed new pressure on Hong Kong media and ordered a vast expansion of China’s publicity machine, with state broadcasters merged into a single entity called the “Voice of China” to strengthen China’s international messaging. Chow Chung-yan, who oversees coverage of China and Hong Kong, denied The Post yields to pressure from Beijing. 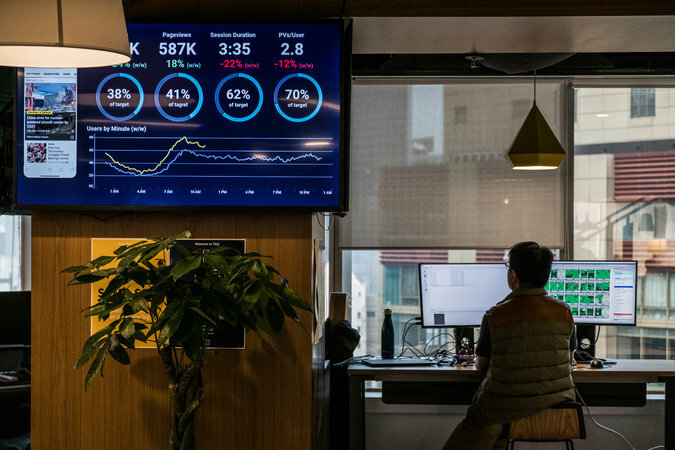 A monitor showing website traffic at the Post’s headquarters in Hong Kong. Traffic to its website has roughly tripled over the past year. The Post’s editor in chief, Tammy Tam, a former Hong Kong television broadcaster, declined to be interviewed. “We believe in reporting freely, fearlessly and in accordance with the highest editorial standards,” she said in a statement. The Post’s leaders say that Alibaba executives, who have offices a few floors above the newsroom, are not involved in editorial decisions. But Mr. Tsai, the co-founder who spoke at the celebration last month, maintains a close connection, offering occasional feedback on coverage and new products. There has been at least one noticeable change since the sale: an outpouring of coverage of Alibaba and its leader, Jack Ma, one of China’s richest men. Articles mentioning Alibaba reached an average of about 3.5 per day last year online and in print, roughly double the number in 2016, according to an archival search. Alibaba appears to be willing to lose money on The Post, which is not profitable, according to newsroom leaders. Mr. Tsai has said The Post, with a circulation of about 101,000 and more than 10 million monthly active users on its website, may not become a self-sustaining business for at least five more years. Traffic to The Post’s website has roughly tripled over the past year, the company said. Alibaba made access free when it took over. But Alibaba has abandoned ambitions of expanding the audience for the Post’s journalism in the mainland, where its website is blocked. Even with its pro-China mission, articles in The Post still touch on topics that are off limits to mainland readers, like the 1989 Tiananmen massacre. 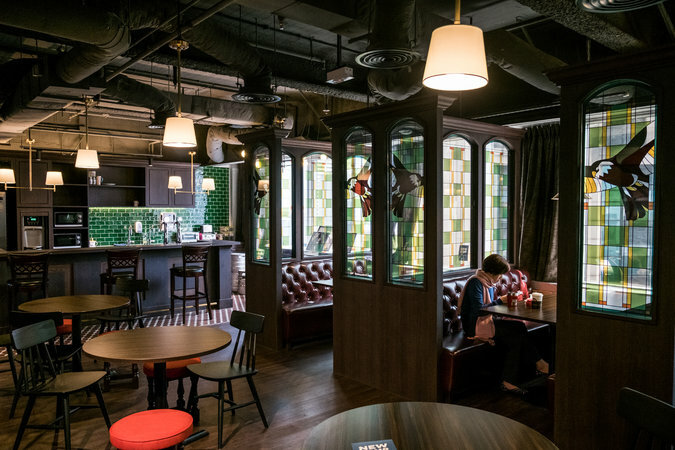 The Post’s new headquarters features an in-house pub that serves Post Hop, a custom-made beer. While many of its approximately 850 articles a week appear tailored for a Hong Kong or Asian audience, The Post has gone on a hiring spree of journalists from outlets like BBC and The New York Times to help bring an international tone to its coverage. To cater to young people and readers in the United States, now its largest market, the Post this month launched Inkstone, an app and newsletter that offers a conversational take on China, and Abacus, a multimedia site focused on technology. The new products also help blunt criticism that The Post is a propaganda tool. “Diss the national anthem? That’s up to three years in the slammer,” read one recent headline on an Inkstone article about penalties for mocking the Chinese national anthem in Hong Kong. The Post’s success may hinge on persuading overseas readers that it delivers reliable journalism about China. But on the front lines, reporters are grappling with perceptions that the paper is another Chinese state news media outlet. Tom Grundy, editor of the Hong Kong Free Press, a rival news site, said The Post was home to talented reporters. But he said Alibaba’s ownership of the paper and recent editorial missteps risked tarnishing high-quality work. Robert Delaney, a New York-based correspondent for The Post, said he had difficulty lining up interviews with American politicians and other sources because they assumed he worked for a news outlet controlled by the Communist Party. Now Mr. Delaney, a former China correspondent for Bloomberg News, makes a point of clarifying. Previous : Hey, Alexa, What Can You Hear? And What Will You Do With It? Next : If the Mets Succeed, They’re Experienced. If They Fail, They’re Old.